Whites left to rue missed opportunities. Wednesday: Dawson, Pelupessy, Fletcher, Bannan, Thorniley, Lees, Reach, Baker, Hector, Penney, Forestieri. Subs: Wildsmith, Palmer, Onomah, Nuhiu, Joao, Rice, Preston. 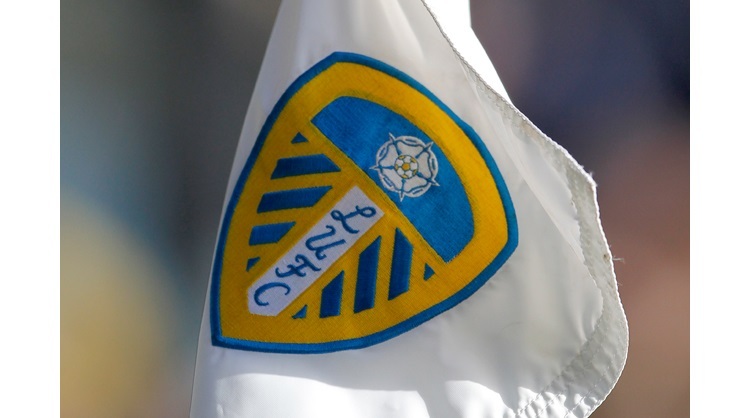 Leeds: Peacock-Farrell, Ayling, Cooper, Phillips, Jansson, Douglas, Klich, Alioski, Harrison, Saiz, Roberts. Subs: Blackman, Forshaw, Dallas, Pearce, Baker, Shackleton, Clarke. Two spectacular strikes from Adam Reach and Mateusz Klich ensured the points were shared at Hillsborough, despite Leeds dominating for large periods. Sheffield Wednesday had a penalty appeal turned down in the opening stages, Fernando Forestieri who returned from suspension went through on goal and down under a challenge from Pontus Jansson, but referee Robert Jones waved away the appeals. Leeds had a first opportunity on goal in the eighth minute, Luke Ayling played Samuel Saiz into the Owls box, he dinked a cross to the back post, which was met by the head of Barry Douglas, but Cameron Dawson made a really good stop. Leeds had another chance eight minutes later from a free-kick. Ezgjan Alioski delivered into the box and Liam Cooper and Tyler Roberts were just inches away from getting on the end of it. The ball came back into the box, Dawson missed his punch and Jansson headed just wide. At the other end, Matt Penney found Steven Fletcher on the edge of the box and he fired a volley just wide. Samuel Saiz whipped in a cross for Leeds and it almost resulted in an own goal, with Ash Baker turning his ball into the box, just wide of his post. From the resulting corner, a second ball into the box saw Douglas hit the post with a header, before Kalvin Phillips saw his rebound cleared off the line. Michael Hector fired a volley just wide for the hosts, while Jack Harrison went close for Leeds at the other end, showing good footwork, before firing just off target. Forestieri then showed good skill before playing Baker down the right and he almost found the net, but for a great stop from Bailey-Peacock-Farrell. Harrison then played a neat one-two with Ayling, before putting a cross into the box, his delivery fell to Klich on the edge of the box and he was denied by a super save from Dawson. Just before the break Sheffield Wednesday took the lead, Reach scored a wonder goal from 30 yards, which found the back of the net via the post. In first half stoppage time, Liam Cooper fired from range and Dawson fumbled, but managed to re-gather, as the Whites went into the break behind. Leeds levelled the scores nine minutes into the second half, Klich found the back of the net with a beautiful strike from 25 yards, which he bent into the top corner. Wednesday almost hit straight back, Reach fired an effort of his own from 25 yards, which was only denied by Peacock-Farrell at his very best. Roberts was next to go close for the Whites, he fired a curling effort from the edge of the box, which went just off target, before Phillips fired wide after being teed up by Saiz following a free-kick. Cooper had an opportunity from an Alioski corner, but he was unable to get the better of Dawson. Captain Cooper then played Ayling into the Sheffield Wednesday box, but once more the Owls had their stopper to thank for keeping the scores level. With 11 minutes remaining, the home side lost possession in their own half and Alioski was played through on goal, but a combination of Tom Lees and Dawson saw his effort go wide. From the resulting corner, the ball fell to Alioski on the edge of the box and he forced Dawson into a decent stop. Harrison then delivered a lovely cross from the right, Douglas headed the ball across goal and Roberts saw a header denied. Harrison then broke up the pitch driving forwards, he struck at goal, but his effort was just off target. Peacock-Farrell made a good save to deny Reach from 25 yards in stoppage time, but the Whites could have won it at the death from a corner, Cooper had a free header, but could only head over as Leeds were made to settle for a point.